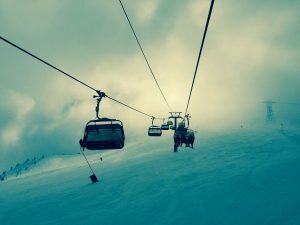 Ski Resort Negligence Can Take a Deadly Toll | Denver Trial Attorney Blog | Leventhal & Puga P.C. blog home Ski Injury Injuries at Ski Resorts – Where Does Liability Lie? Injuries at Ski Resorts – Where Does Liability Lie? Colorado is arguably the most popular snow skiing state in the United States. In U.S. News Travel’s annual “best ski destinations in the USA” ranking, five of the top 10 ski destinations were located in Colorado. These include Steamboat Springs, Vail, Telluride, Aspen, and Breckenridge. Not only are skiing and snowboarding popular for those who live in Colorado, many people travel to the area solely to go skiing with friends and family on vacation. Overall, visits to United States ski areas hit 53.3 million in the 2017-2018 season, according to a report from the National Ski Areas Association. Ski area revenue is a huge benefit to Colorado’s economy—so the state protects the ski area operators with a series of laws are designed to limit your ability to recover for injuries incurred at a Colorado resort. Colorado is not alone in this regard: states with ski tourism protect the resorts. For those who like to embrace the cold winter temperatures and snow, a ski vacation can be the perfect getaway. Skiing and snowboarding, however, can be dangerous sports. In fact, skiing and snowboarding result in about the same number of emergency room admissions as cycling, football, baseball, and softball (The Guardian). Many skiing and snowboarding injuries occur every winter season, from minor bumps and bruises to deadly collisions. When the worst of these are reported in the news, skiers and snowboarders are reminded of just how dangerous the sport can be. In 2019, our client was simply boarding a chairlift at a popular Western resort when his finger became lodged in the seat of the lift and was completely sliced off. He lost a significant amount of blood, had to receive stitches, and his finger could not be reattached. Another case we are handling is tragic. About one year after Kelly Huber of San Antonio was killed by being thrown, along with her two daughters, from the Quick Draw Express chair lift at Ski Granby Ranch in Colorado, her family filed a wrongful death lawsuit with Leventhal & Puga, P.C. Attorney Jim Leventhal said that Granby Ranch “made a conscious decision that their revenue was more important than the safety of families and people getting onto that lift. You can’t ignore problems in front of you and hope they go away.” Today, attorneys Bruce Braley and Brian Aleinikoff are fighting for Ms. Huber’s family. Having experienced lawyers working for you to ensure you receive just compensation for your injuries is crucial when dealing with multi-billion-dollar ski corporations and insurance companies. In the 2017/2018 skiing season, there were 37 reported fatal incidents at national ski areas. The majority of fatal incidents resulted from collisions with other skiers, trees, or manmade objects. Males represented more than 90% of all skier/snowboarder fatalities. Approximately 62% of skiers and snowboarders who died were wearing helmets (National Ski Areas Association). Other skiing and snowboarding injuries are caused by falls from ski lift chairs or falls down the mountain, avalanches or other weather hazards, ski equipment malfunction, or improper notice to skiers: for example, a poorly lit or poorly located sign. Often times, guests are injured by another skier or snowboarder who is either going too fast or not watching where he is going. In this case, the injured victim may be able to bring a case against the person who collided with him or her for negligence. Other times, a skier or snowboarder may be injured due to the error of ski resort staff, by faulty resort equipment, or another factor that is the responsibility of the resort owners. These cases do not include injuries that are caused by the inherent risks of skiing, such as a skier’s failure to ski within his or her ability or a skier who goes outside of a designated ski area. Always, Colorado ski resorts must maintain certain standards to support safe skiing and snowboarding on their property. For example, a skier should be able to trust that a chairlift will get him or her to the top of the mountain safely. When this is not the case, the resort may be liable for injuries that occur. The ski industry is large and has resources, but the trial lawyers at Leventhal & Puga, P.C., are not afraid to go up against it when something goes wrong. If you have been injured or a loved one has been killed due to a ski injury and you believe the resort may be at fault, call us at (303) 759-9945 to have an initial evaluation of your case at no cost. Is Your Ski Collision Worth a Lawsuit?